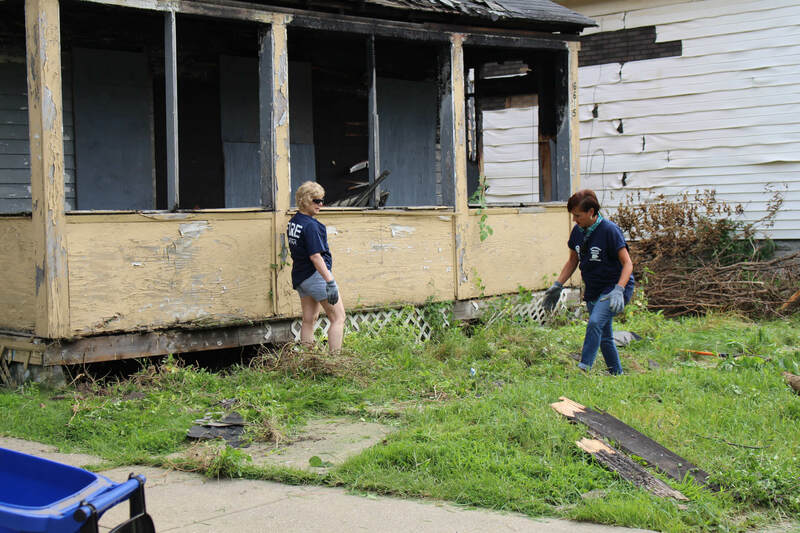 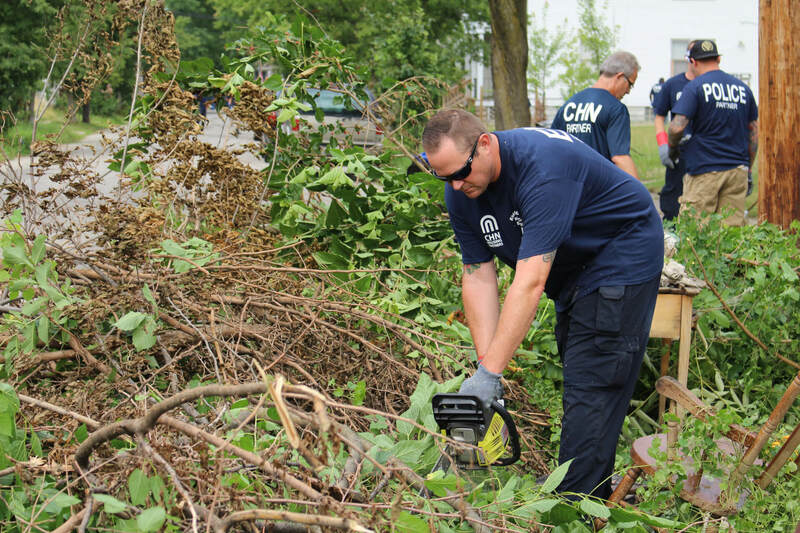 On Friday, more than 70 volunteers from Cleveland Police, Fire and EMS joined CHN Housing Partners for a day of community outreach in Cleveland’s Slavic Village neighborhood. 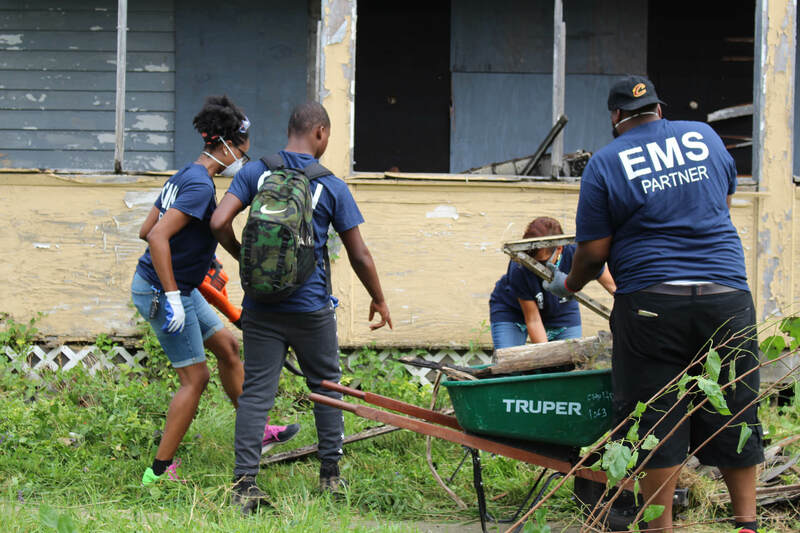 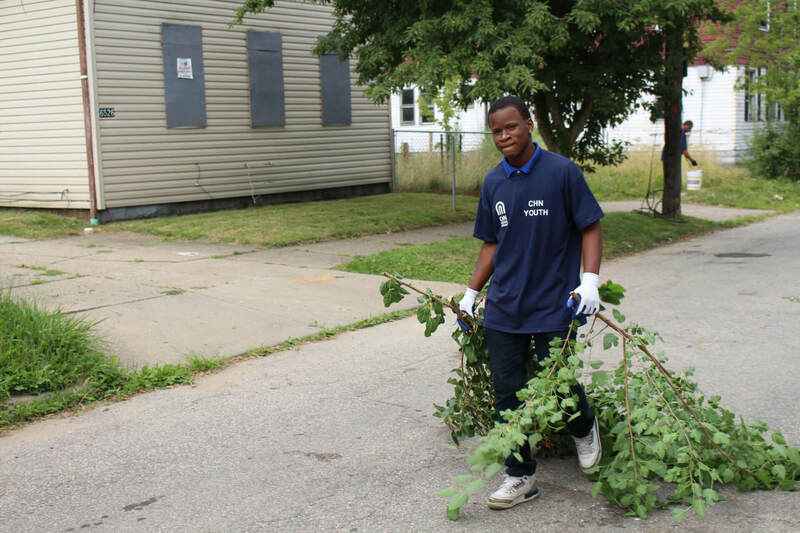 Activities to beautify Sebert, Chambers and Forman Avenues included cutting grass in vacant lots, clean-up at vacant houses, as well as general clean up, trimming, edging pruning and grass cutting at residential homes throughout the area. 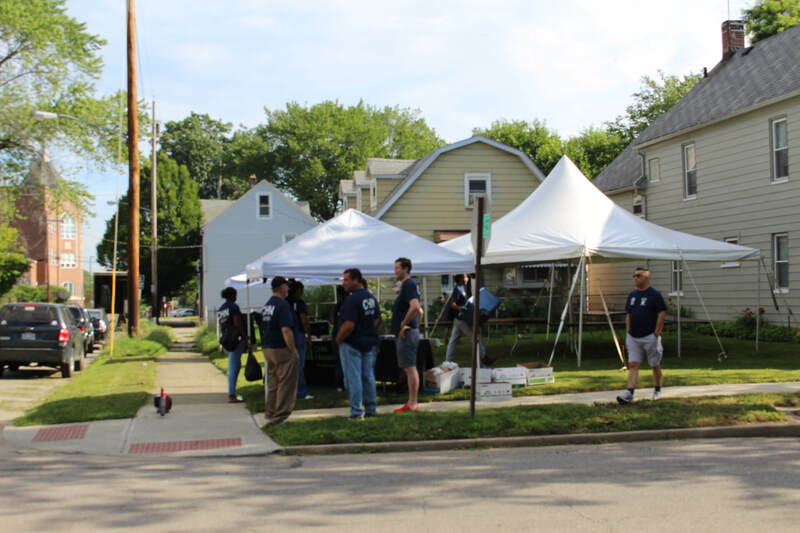 Over the years, CHN has made significant investments in Slavic Village, including the construction of Slavic Village Green Homes, a 37 single-family lease purchase project that is nearing completion. 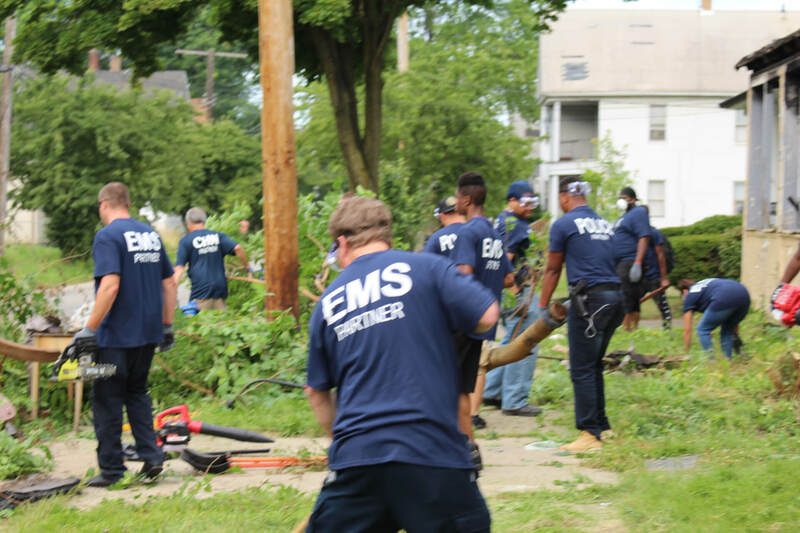 WOIO’s Lacey Crisp covered the event. 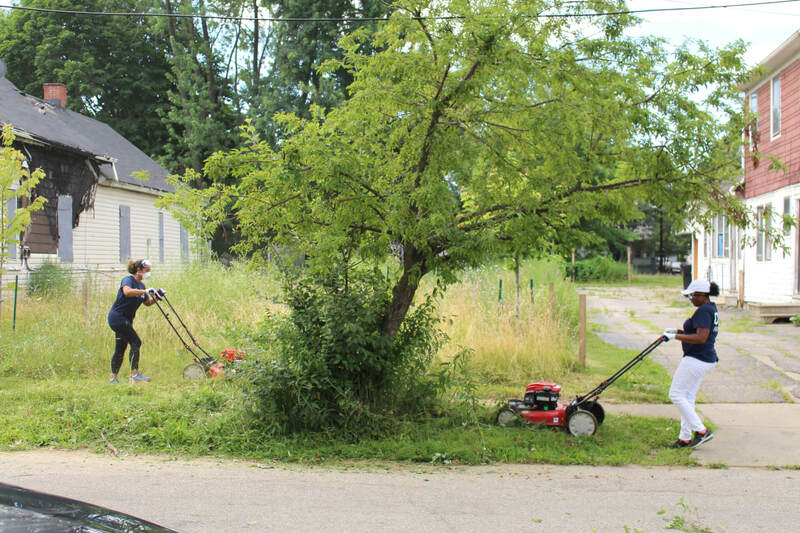 View the story: Volunteers embark on Slavic Village beautification project.